Just 3 hours drive from Sydney, the Blue Mountains are easily accessible by car, or via dramatic scenic helicopter flight. Climate in the Blue Mountains region varies with altitude and season. 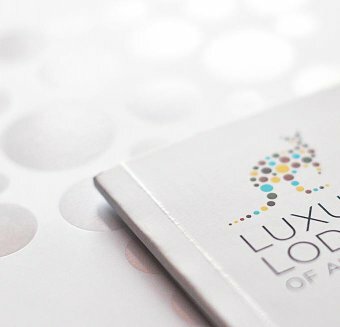 The Wolgan Valley’s towering escarpments offer protection from the wind, while the resort still benefits from the warmth of the sun. Summer months generally bring the heaviest levels of rainfall, at around 80 to 100 millimetres per month. The coldest period is usually between April and September, when average daytime temperatures range between 10 and 15 degrees Celsius. At night, these temperatures can drop to as low as -3 degrees Celsius. 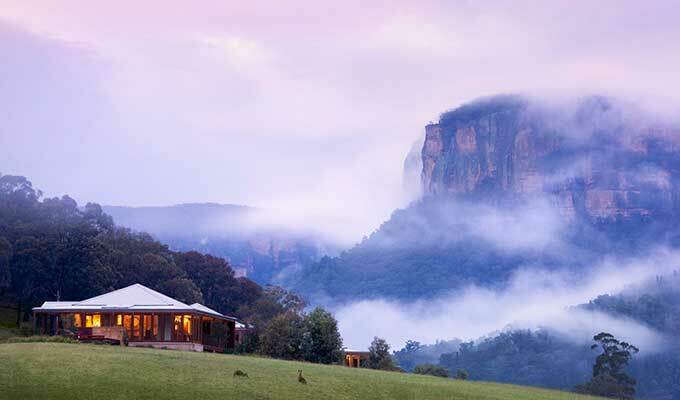 Rainfall in the Blue Mountains is much lower during the winter months, and it may snow two or three times a year. The Greater Blue Mountains is an accessible wilderness, covering more than one million hectares of rainforest, canyons, eucalypt forests and heath lands in News South Wales. This is an area of breathtaking views, rugged tablelands, sheer cliffs, deep valleys and swamps teeming with life. The unique plants and animals that live in this outstanding natural place relate an extraordinary story of Australia's antiquity, its diversity of life and its superlative beauty. This is the story of the evolution of Australia's unique eucalypt vegetation and its associated communities, plants and animals. The dramatic sandstone cliffs and rugged canyons of the Blue Mountains, combined with the incredible diversity of plant and animal life, make this spectacular region a “must do” in any Australian itinerary. The Blue Mountains are one of Australia's natural wonders and the World Heritage area combines eight individual conservation reserves - Yengo, Wollemi, Gardens of Stone, Blue Mountains, Nattai, Kanangra Boyd, Thirlmere Lakes and Jenolan Caves Karst Reserve. 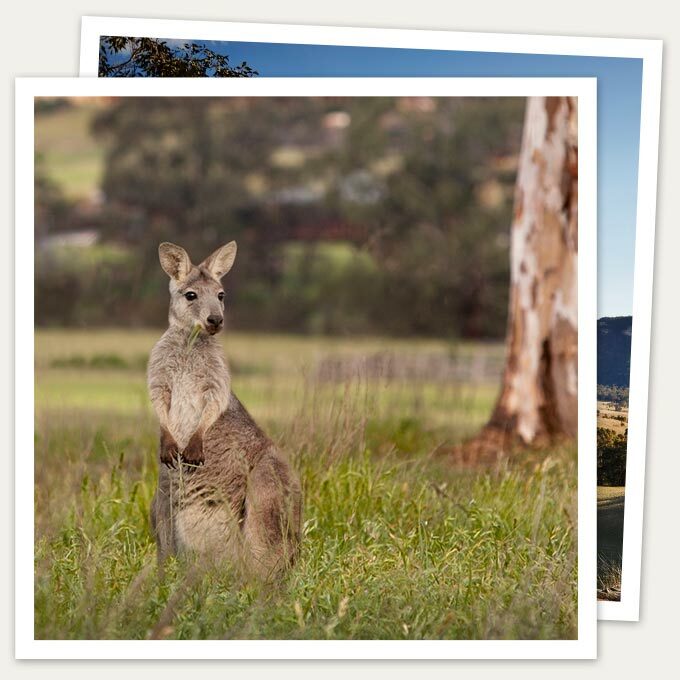 More than 400 different kinds of animals live within the rugged gorges and tablelands of the Greater Blue Mountains. 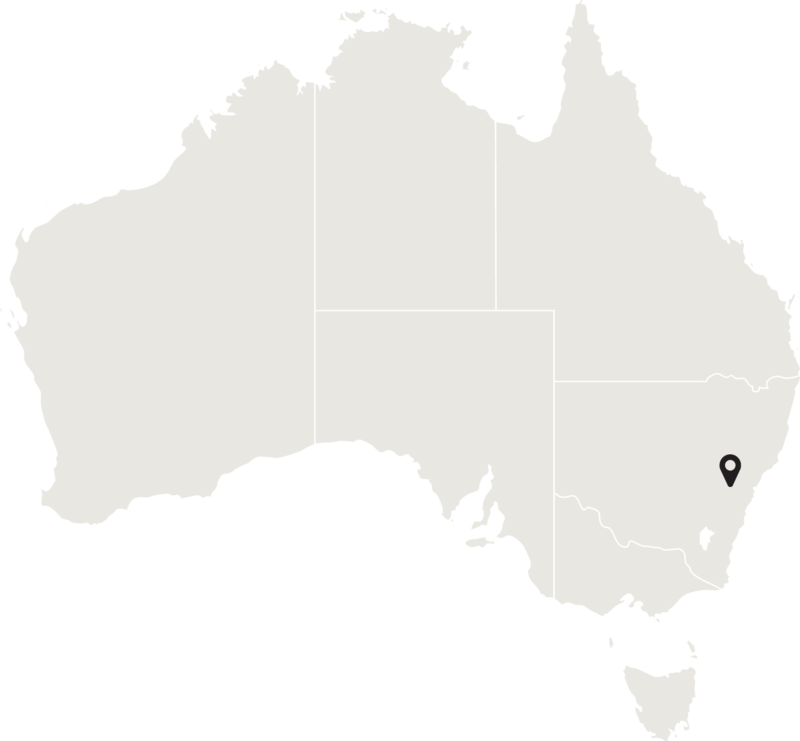 These include threatened or rare species of conservation significance, such as the spotted-tailed quoll, the koala, the yellow-bellied glider, the long-nosed potoroo, the green and golden bell frog and the Blue Mountains water skink. Flora and fauna of conservation significance and their habitats are a major component of the World Heritage values of the area.